What Are Electricity Conductors and How Do They Work? When you think of the term conductor, you think of anything that conducts electricity through something, often wires. Electrical wires may be made of copper or aluminum metal, both of which conducts electricity, but copper is a much better conductor than aluminum and a safer option. When electricity flows from one point to another through something like an electrical wire, we call this conductivity. The wire would then be called the conductor. Likewise, large conductors that transport power from utility substations to individual homes are called service conductors. Don't forget the service entrance wires that feed your electric meter and electric service disconnect. From there, there are conductors that feed the electrical panel and the individual wires, called branch circuits that feed switches and outlets in your home. A conductor is anything that is capable of allowing current to flow through it. You could be a conductor if you touch a hot wire and become the path to ground, causing you to get shocked. Lightning rods and the wires connected to them running the length of your home's roof to a ground rod in your yard is a conductor, thus a path to ground if lightning would hit your home. The idea is to divert the path of the lightning harmlessly to the ground instead of your home taking a direct hit. Have you ever dragged your feet across the floor and then touched someone else, only to shock them? That's an example of conducting electricity. Sometimes the static electricity is stored up in your body until you touch something grounded, like another person. There are some items that are not good conductors like plastic, rubber, or wood. These items insulate or isolate flow and are not very good conductors. In fact, these items are often used to separate items from electrical components to stop conductivity. However, in the case of wood, it is possible that wet wood could actually carry current, so be careful. Some of the better conductors and most commonly used types are copper and aluminum wires called conductors. Copper by far is the industry standard, although aluminum wire was used in past years with an unfavorable result in homes. As a cost saver for homeowners, aluminum wire was used in homes. Being a much softer wire, it has more resistance than copper wire and is prone to heat up when under load. The problem then becomes that the wire in the connector or wire nut could become loose, and become a potential fire hazard. Conductors are used for grounding systems and lightning protection to channel the lighting immediately to a ground potential and away from your home. They are used as a safety channel to take dangerous electricity to ground. If the hot wire goes to ground, the circuit breaker will trip or the fuse will blow. It is a built-in safety measure present in today's wiring, making today's wiring much safer than that of years ago. remember, in earlier wiring just 50 years ago, there was no ground wire for safety. Let us not forget about low-voltage wiring that is used for things like doorbell wiring that runs between the doorbell and the doorbell button. There is also thermostat wiring that controls your heating and cooling in your home. If you have a stereo system, there is speaker wiring that runs from the stereo to the speakers. TV's have their own cable that has a center conductor and a ground shield that wraps around the inner jacket of the cable. These are just a few of the many low voltage conductors. 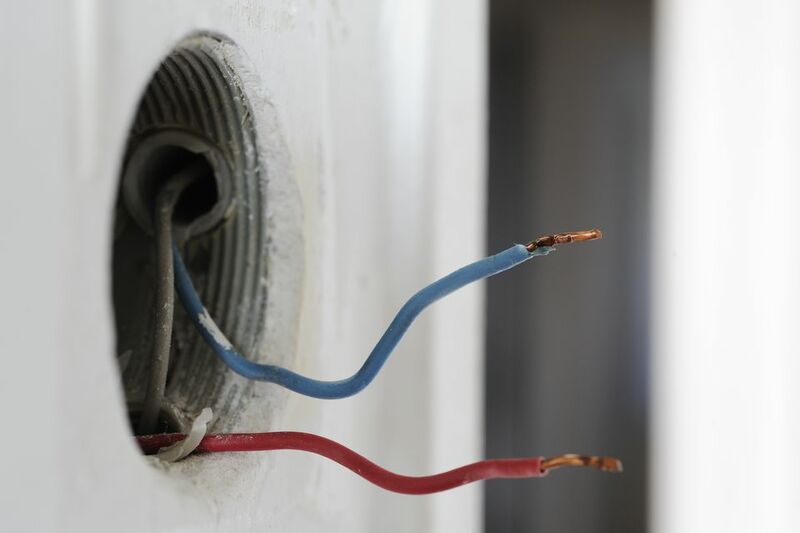 The next time you hear the term conductor, make sure the wires in your home are connected properly so that they are the conductors and that you are not.